While Android is constantly dominating the global smartphone operating system market share for the past years, the demands for Android Developer could not get anymore higher! Small businesses are being seen to take advantage of the growth in mobile usage and apps markets in boosting their sales and they will need the best Android Developer there is! This event is for the corporate audience, I.T professionals, software engineers and those with knowledge in mobile app development. Why is it “cheaper” now to build your first mobile app startup using Android & Google Cloud Platform. Laptop is not necessary for this preview. Wan Muzaffar has been working in mobile app industry since 2011. Starting during the boom of smart devices on 2011 as Mobile Application intern in Atos Worldline, Seclin France, he developed an m-commerce application, “Personal Shopper”, a retail iOS application which was presented during Paris E-commerce exhibition. The app is targeted to hypermarket in France and has been proposed to Carrefour France. Coming back to Malaysia, he started working on Astro On-The-Go mobile app project prior to the launch of the product, as a Product Analyst, handling different part of software development life-cycle. The product was on top of App Store and Google Play for a while and has been downloaded for more than 100 000 users. 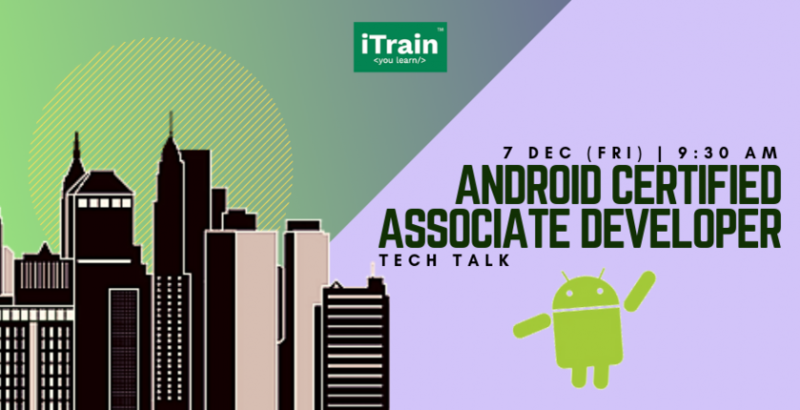 He has experience managing company’s Apple and Google Play account, liaising with them directly especially in regards to app requirement and submission. He then moved to a Online Food Delivery Company, Room Service as a Mobile Product Manager, planning the mobile product roadmap for the Android and iOS application. Within 6 months in the company, he managed to increase the mobile order market share from 13% to 35 %. Among some improvement features planned for the application is Geolocation detection, credit card scanner, Order Status feature and Google Analytics tagging. He joined Me-Tech Solution Sdn Bhd in Cyberjaya as Technical Development Manager, planning and architecting mobile and web solution for the clients. Company’s biggest client is Firefly Airline, which he successfully architected the migration of company’s mobile app and website. Firefly 2.0 mobile app has be enhanced from previous hybrid architecture, developed using Agile methodology. He also led and architected the mobile application for AirAsia BIG, to cater for users of different countries and languages in South East Asia. The challenge of this app in particular is to cater for high number of concurrent users especially during AirAsia sales time.